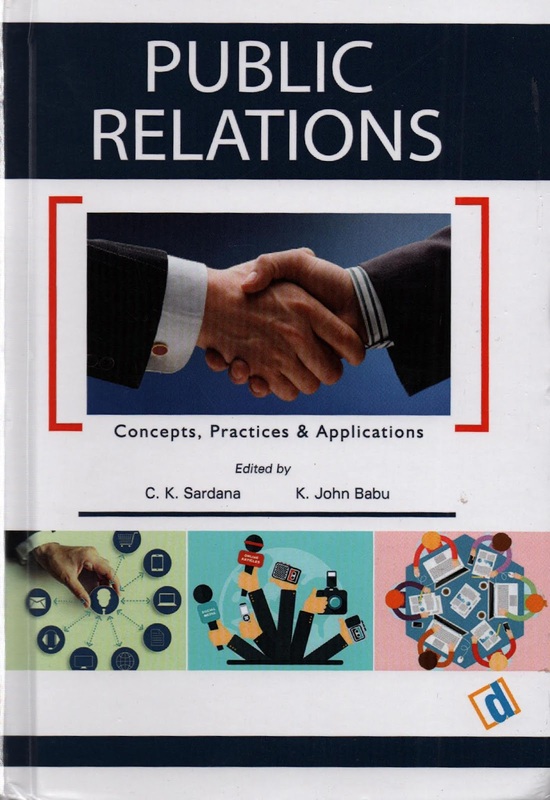 PUBLIC RELATIONS -- Concepts, Practices & Applications jointly edited by Prof. C K Sardana and Dr. K. John Babu has just come. 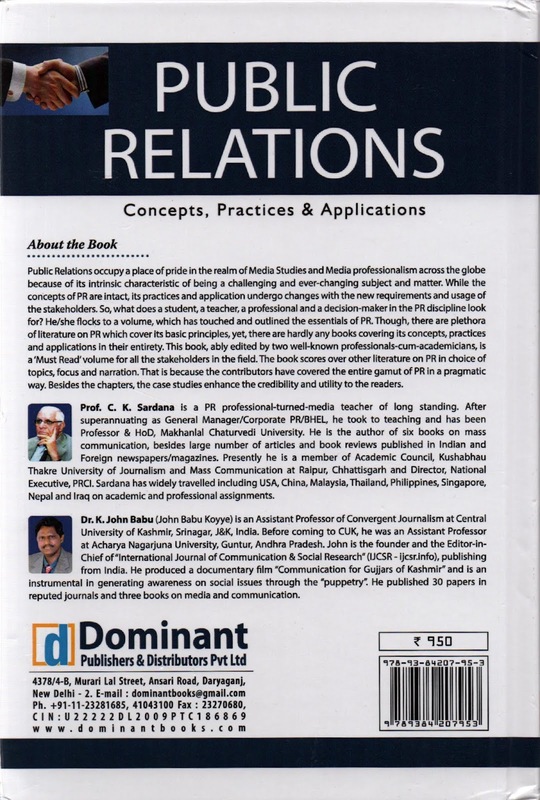 The 182-page book has 14 articles contributed by well-known Media Teachers, Academics, Researchers and Professionals. This is followed by carefully selected three case studies pertaining to Jet Airways, Nestle's Maggi and SBI, besides an exhaustive bibliography. 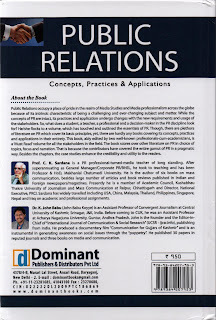 The book has been published by DOMINANT PUBLISHERS & DISTRIBUTORS, New Delhi. email id: dominantbooks@gmail.com & info@dominantbooks.com.